Fun fact! A pound cake has exactly one pound of butter in it! SUPER healthy right? Pound cake is a delicious and fun dessert! It has such a steady base and can be accompanied by almost any topping. Fruit, chocolate, and whipped cream will all taste great right on top of this treat! I had some buttermilk leftover from the Irish Soda Bread Muffins I made last week so I took to Pinterest to see what else I could make with the buttermilk. When I searched the ingredient the results were mostly pastries or some kind of breakfast food. I ended up choosing the pound cake mostly because I had all of the other ingredients in the house and it seemed like a super simple recipe. 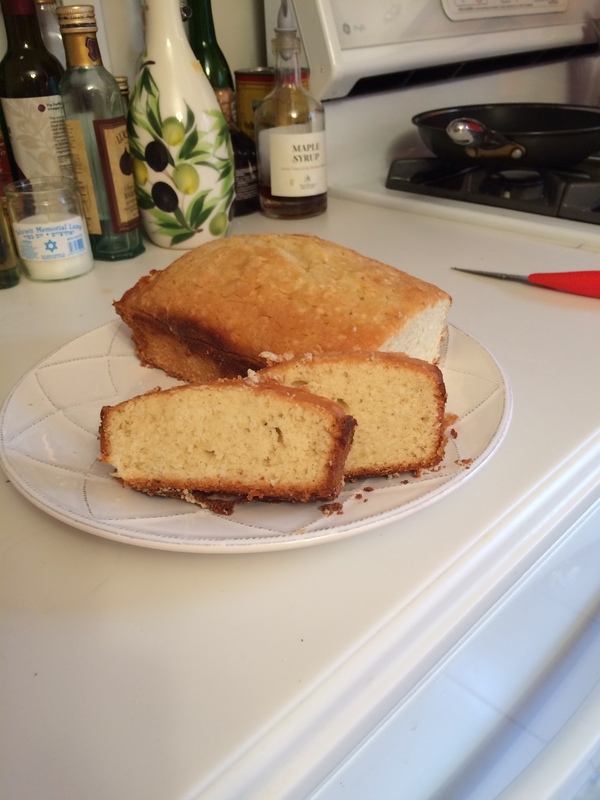 The pound cake was a classic and easy cake to bake. 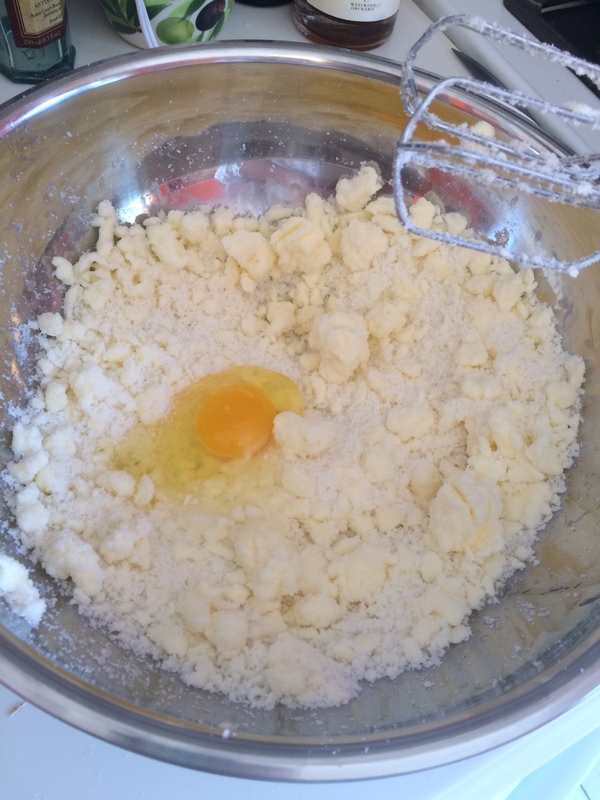 It had a classic cake base of creaming the sugar and butter with eggs and then adding the dry ingredients. Throw into the mix some vanilla, buttermilk, and baking soda and you basically have the whole recipe down pat. After gathering all of the ingredients, it was time to start baking. I creamed the butter with the sugar until it was a good texture. Once the two were combined, I added in the four eggs, one at a time. 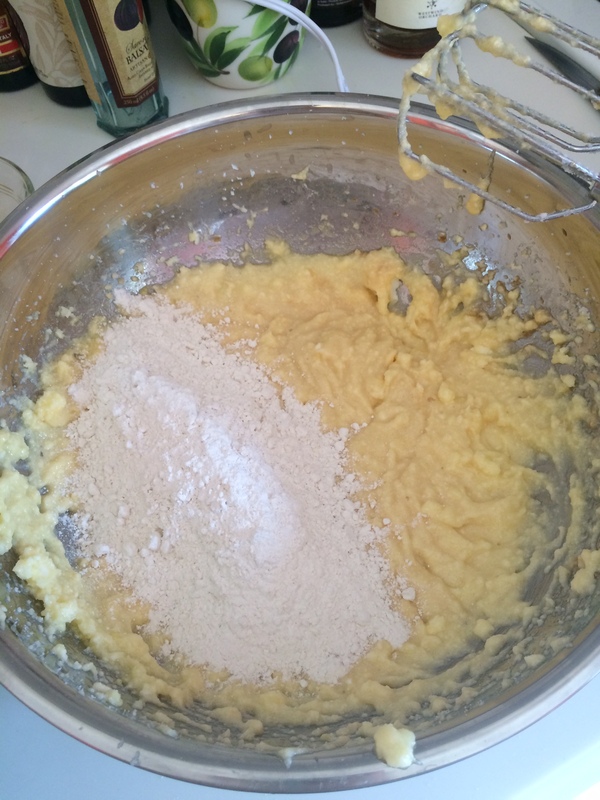 Once the eggs were all mixed in, I quickly added a splash of vanilla to the wet ingredients. After the eggs mixture was all together it was time to gather the dry ingredients. I measured out the flour and the baking soda and left it on the side. Next, I measured out 1 cup of the buttermilk. Once the rest of the ingredients were ready I began the final preparation. 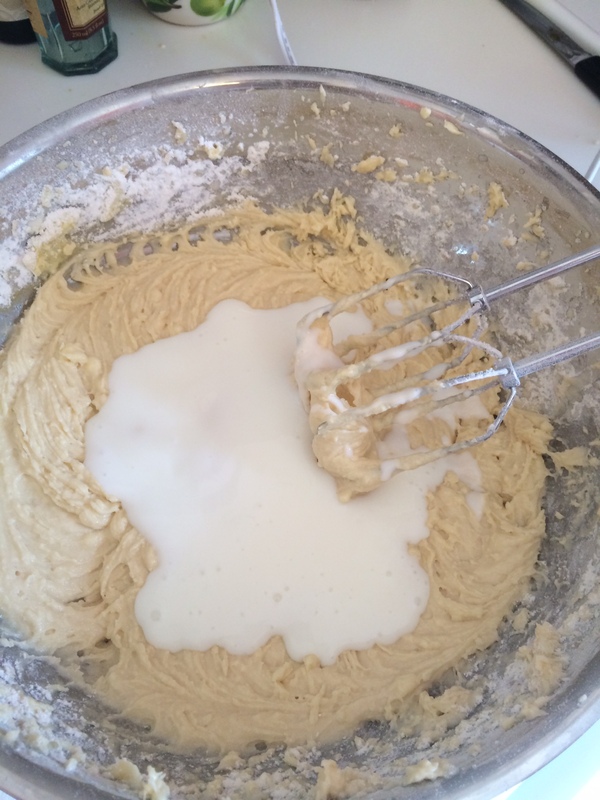 I added in the flour and the buttermilk, alternating turns. 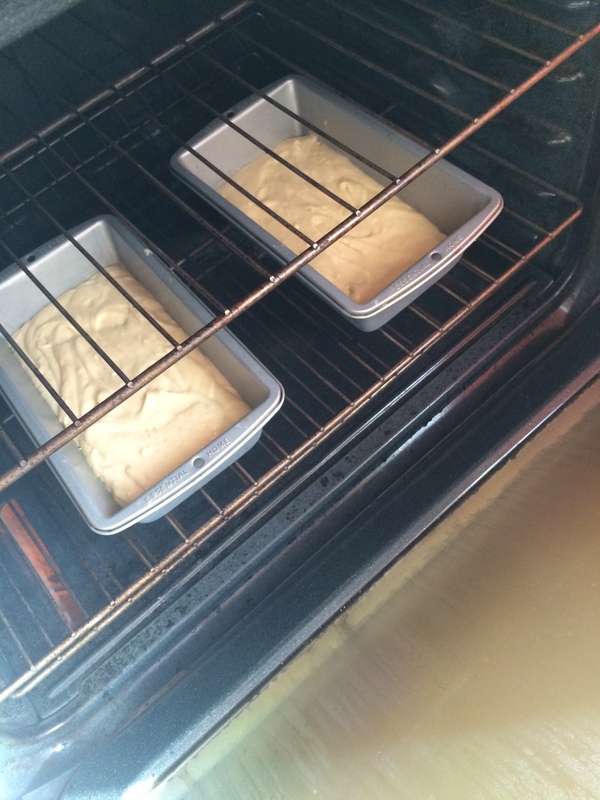 I mixed the batter together until it had a smooth consistency and placed it into two loaf pans. The recipe that I was using suggested that the cake be baked in a bunt pan but this seemed easier if I wanted to freeze the cake. I ended up using two different loaf pans because there was a lot of batter. The cakes took a while to cook, about an hour in the oven at 325. If you wanted to serve the cake with glaze or fruit compote of sorts, this would be the perfect time to prepare it! Once the cake was done, I let it fully cool before trying to remove it from the pan. The only suggestion I would make to this recipe is adding flour and butter to the load pans or even some parchment before adding the batter to the pans. The cooking spray that I used made it hard to remove the cake from the pan even after the cake was fully cooled. The cake was super moist and light, perfect for a spring afternoon with some iced coffee! The full recipe that I used to make the cake can be located here. Enjoy! 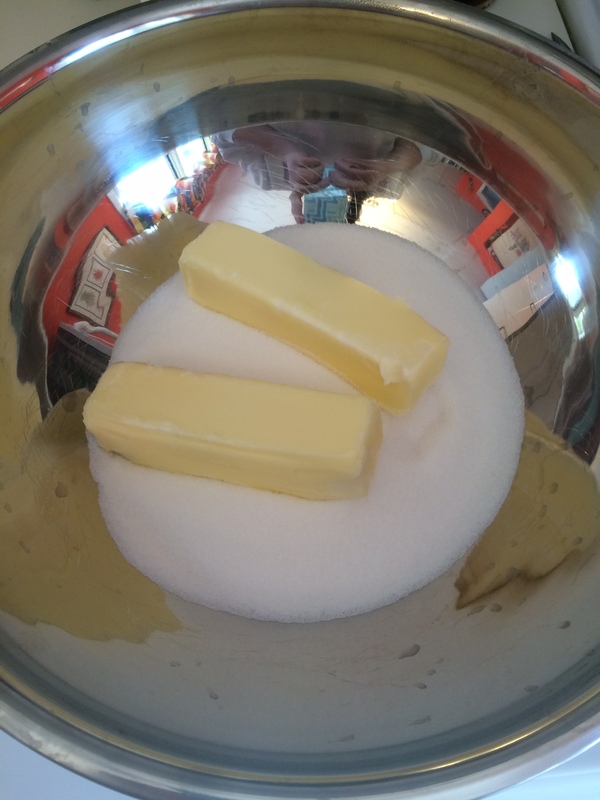 Combine the butter and sugar in a large bowl and cream the butter until the texture is smooth. Next add the eggs in one at a time until creamy. Add in the vanilla. Next mix together to flour and the baking soda. Alternate adding the flour mixture and the buttermilk into the butter and sugar mixture until it has a smooth consistency. Add the batter to two loaf pans and cook at 325 for about 45 minutes to an hour, or until golden brown. Check it out here!